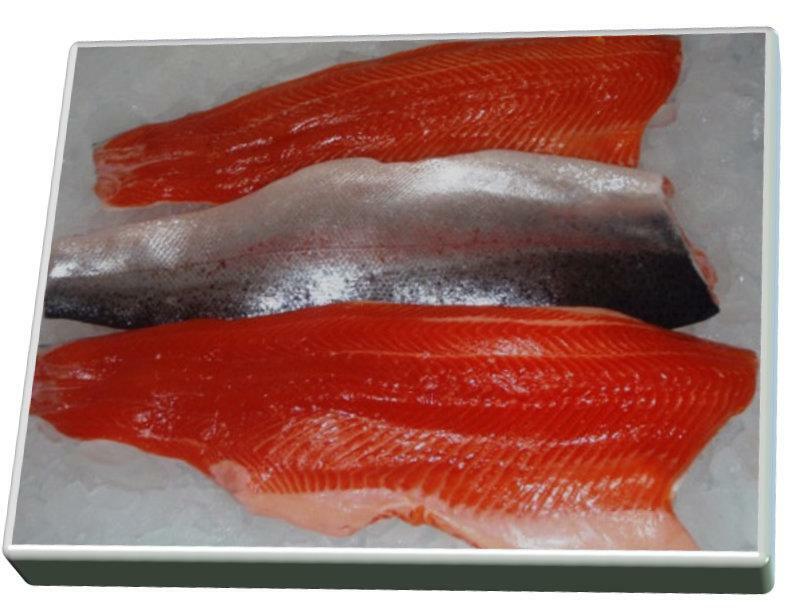 Sea Trout is often used as an alternative to Salmon in modern cooking. The fish is farmed alongside Salmon in the clear waters of the Fjords in Northern Norway. It is an Atlantic fish that takes on the characteristics of Salmon when raised in Salt or brackish tidal waters but it maintains its unique Trout qualities of a subtle flavour and a firmer texture. We offer whole sides both Cold smoked over Oak chips and Hot smoked (KIln Roasted) as whole sides or portions Our cold smoked sides are available uncut or "D" Sliced and supplied in 200g vacuum packs for good shelf life, the product is supplied fresh but can be frozen if required. This product is ready to heat or enjoy straight from the pack. Catch Area FAO Area 27 (Atlantic, Northeast) Farmed .